Intuit Inc. is a financial software company that provides solutions in payroll processing, personal finance and tax preparation. For investors, the Intuit stock, or INTU symbol, can be a great option because of the software industry overall. It is anyway always a good idea to invest in software sector, given its growth. The industry’s growth potential is increased by the services that are selling small business technology. There is perhaps no sector that software and technology do not directly impact. Therefore, some of the best software companies like Intuit Inc. are known to command double-digit revenue multipliers. Investing in Intuit stocks can be profitable investments because of the financial software industry performance in the recent past. The growth in the financial software industry has been unprecedented in the last few years. The benefits that financial accounting software provides to its clients have been the primary driver of this growth. Financial software are specifically designed to cut down on manual error in any accounting process. From accurate invoicing to providing cost and time effective financial computation, financial software is a highly sought after tool in any business process. Certainly, businesses turn towards dependable financial software in order to streamline their financial operations. Intuit Inc provides reputable financial business software like Quickbooks, TurboTax, Quicken, DemandForce and Quickbase, whose market credibility can ensure a high return on its stock investment. Intuit is also known for its clever buyouts. You do not need American Express financial advisers to tell you that. The takeover of Digital Insight and consequently the launch of FinanceWorks has aided the company to gain entry into the financial institutions market. Later acquisitions of Check, Palo Alto and Itrios, LLC, have also proved to be hugely rewarding for the company. Riding on the success of a surging business, the company has grossed a profit of $4.01 Billon as of 31st July, 2014, with a net income of $365 million. The performance of the company has been remarkable, even on the face of tough competition from H&R block’s TaxCut software and Sage 50 accounting. Intuit stocks can be safe bet for your investment in the financial software industry. Intuit’s short term stock price target has been set at $104 with an estimated standard deviation of $8.44. Looking at the stock chart however, the company has been witnessing high volatility with a 52-week high estimated at $109.21 and low at $79.63. Meanwhile, the company enjoys a market capitalization of 27,096 million dollars. This size is frequently compared to other tech stocks like Symantec stock, Siri stock and of course, Netflix stock. It is a highly volatile market that can surely open up good opportunities for your investment. That is just the art of the deal when it comes to investing. Recently, Intuit Shares surged 12% in a single month. The same cannot be said for other holdings, like Yacktman. Obviously, potential investors should want to know what caused the jump to better inform their own investment decisions. Thankfully, we have an answer. The reason behind Intuit’s stocks rising is their number of subscriptions. Investors were encourage by Intuit’s subscriptions rising for both QuickBooks Online and QuickBooks for self-employed. Their rising revenue is the reason why so many investors decided to take the plunge and invest in Intuit stock. Keep this in mind for future performance indicators. Most recently, the Intuit stock price has reached a new lifetime high of $116.39 per share. While this is great news, it does raise some questions about the stock’s exposure to risk. After all, the INTU stock is still trading at a price above $100 just like FB stock and Goog stock. So, you may want to think about if Intuit Inc. will be able to continue its rapid growth. There might be concerns about the rising competition on cloud services, providing many Quickbooks payroll alternatives and billing services. 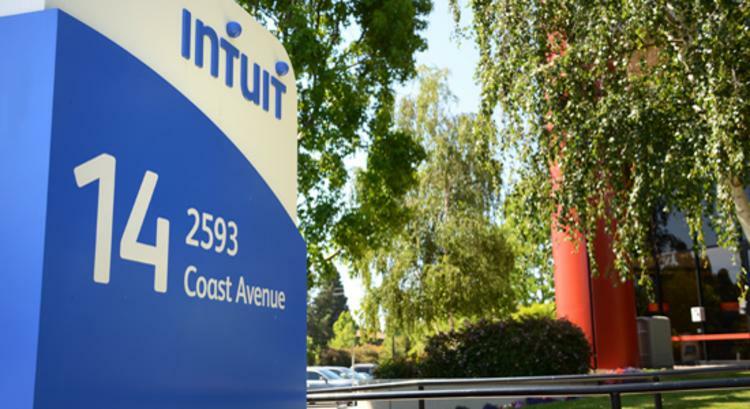 Some investors might downgrade Intuit Inc. for exposure to Quickbooks Online competitors. However, for the time being, the Intuit stock continues to climb. Intuit stock price has been performing well on account of the various facilities that the company offers to its clients, making it a smart equity investment opportunity. With a stock pricing hovering around the $100-$109 mark, Intuit stocks can prove to be high yielding in the long term. To learn more, read our post on why invest in high stock price companies. The Intuit stock is one of the most popular in the sector and provides an opportunity to be a part of one of the most dynamic markets in modern economy.